How do I direct JMP to a file folder on my desktop that have about 400 CSV files like a database, create a bunch of columns and create a summary table with 1 row per file? I can do this individually, but it takes forever and I was hoping I could develop a script to automate. So I'm making a few assumptions about this. I could be off. All csv files have the same columns. you want to create an aggregate summary (mean for example) of each column for each file. I used the table script from a file I made by hand to get the Summary script. There might be a better way to copy the variables; in JMP 13 you could use the ideas here to assign a whole row in one statement. Sorry for the delay. Was on service and having to take care of patients. Now just getting back to this. No they don't always have the same column (A, B, C, etc.) but they do have the same name. can you give a screenshot of two fake tables and what you want the end result to look like? I can't figure out what you're asking. 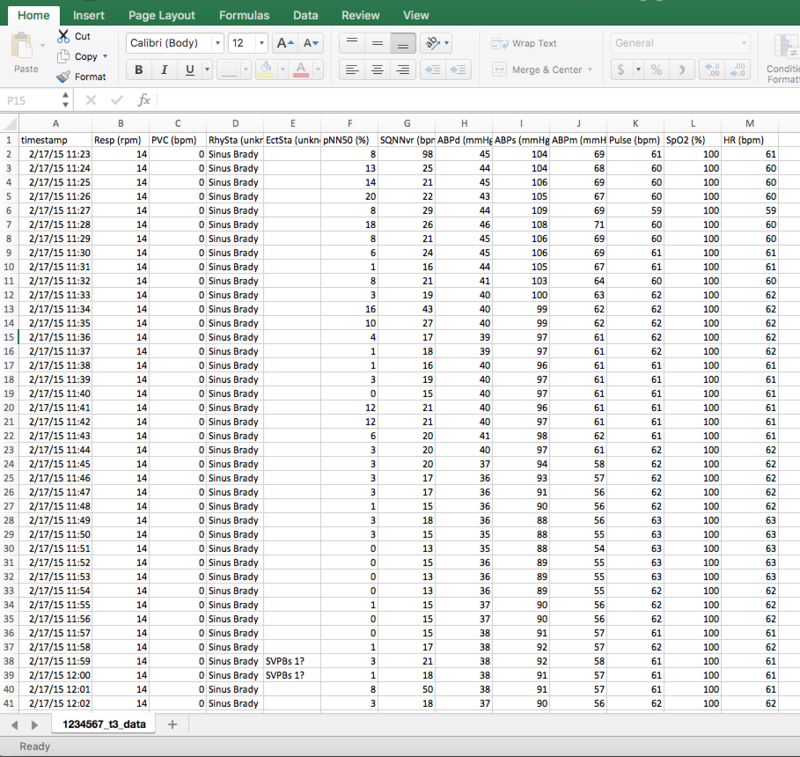 Here is what the data looks like within a CSV file. The file name is also the patient identifier. How can I get it to summarize by column heading and create a table of the summarized data with the file identifier in a column? You can see what the file name looks like at the bottom on the screen shot. I could convert all the CSVs to JMP files? Just not sure it would help. Does anyone know if the Data Table Tools add-in would work for this case? Here is a variation on Vince's response; this allows different column names in each file. I think you meant to append the summary tables instead of the data tables?